I've had these songs on repeat for quite some time! They're my absolute favorites at the moment. Au Revoir Simone I accidentally stumbled upon on good ol' youtube about a year and a half ago and I FELL in love with them, there music is so magical! SHE & HIM I've loved forever!! I absolutely LOVE their Christmas CD!! 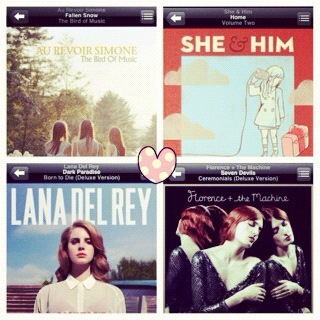 Lana Del Rey is a newbie to my ears but I love her music!! A side from Kings of Leon being my favorite band I'm obsessed with with Florence + the Machine! There music is so empowering to me! Head on over to ME+THE MOON and enter her giveaway! 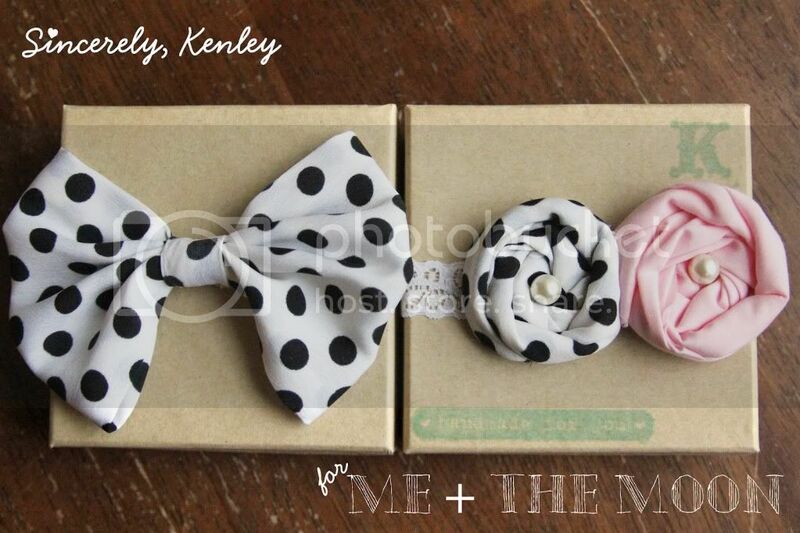 She makes the cutest headbands!!! I return home from California on Thursday and I promise that I'll update my blog with daily posts! Pinky promise! :) I have lots of goodies I want to share with you!! Love the look and feel of your blog. Following back! Lovely blog. I really like it. Thanks for stopping by. Thanks for stopping by Simply Sweet Sunday - I hope you visit again! I've returned the follow and will be back to visit again! Hey thanks for the shoutout lady! Can't wait to see your finds! PS. If you check out my blog don't forget to enter my giveaway! Ooh I love all of these! The only one I'd heard before was She & Him (LOVE them!!) but now I've been playing the others on repeat for the last hour lol!